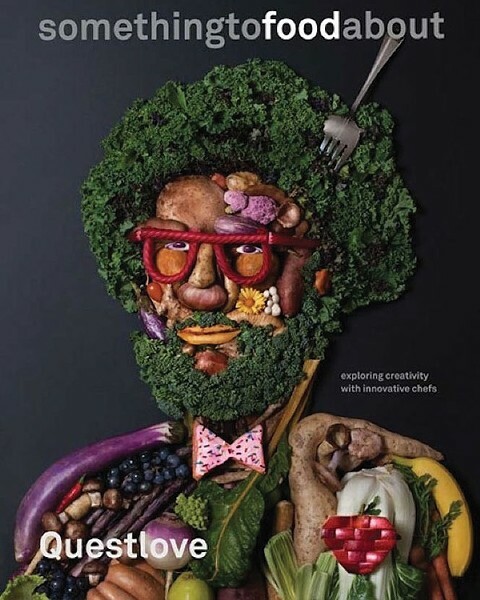 As drummer, producer, musical director and co-founder of The Roots, Questlove (Ahmir Khalib Thompson) isn't well-known for his culinary expertise, but his curiosity is boundless. Hence, his fascinating new book called Something to Food About: Exploring Creativity with Innovative Chefs. Starting with the best book cover you've ever seen, Questlove's mission is to discover what makes some of the planet's most creative chefs tick, including Eleven Madison Park/Nomad chef Daniel Humm, Modernist Cuisine Lab's Nathan Myhrvold, French celebrity chef Ludo Lefebvre and Donald Link of New Orleans' Cochon. This is a terrific read with gorgeous photography and plenty of food for thought. If I had to pick a single person to cook my last supper, I would want it to be Eric Ripert, co-owner and chef of New York City's Le Bernardin—which many food lovers consider to be America's best restaurant, if not the world's. My copy of Ripert's On the Line—a nuts-and-bolts look at what it takes to operate a world-class restaurant—is dog-eared and food-stained, because it's one of the best peeks into a professional kitchen. 32 Yolks: From My Mother's Table to Working the Line is Eric Ripert's new book. It's a coming-of-age story about the making of a French chef that provides insights into the drudgery of becoming a chef (it isn't all about Food TV, after all) and, ultimately, the pressurized atmosphere of running a high-profile eatery. Anyone aspiring to become a professional chef—not to mention a loving, wonderful human being—would do well to read Ripert's moving account of his own ascension into the culinary stratosphere. When the Italian cookbook author Marcella Hazan passed away in 2013, she left behind a trove of handwritten notebooks about how to find, recognize and use the best ingredients for cooking. 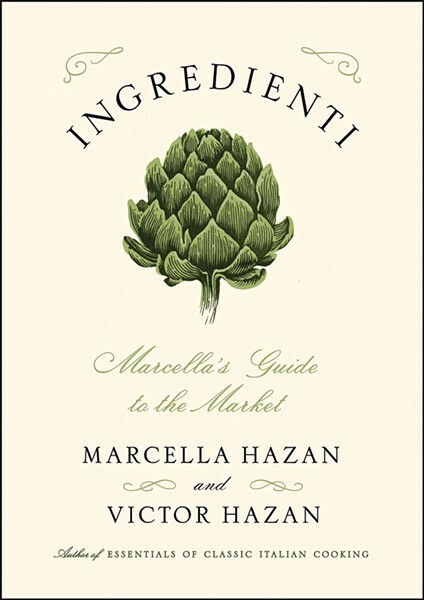 Those notes have been lovingly translated and transcribed by her longtime collaborator and husband, Victor Hazan, and the result is Ingredienti: Marcella's Guide to the Market. 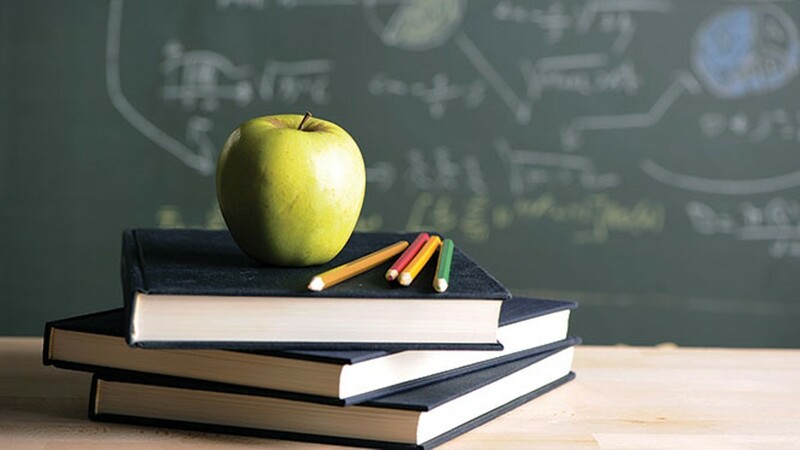 The main thrust of the Hazans' book is that before you know how to cook, you must know how to shop. "There have been no more satisfying times in my life than those that I have spent in a food market, wherever in the world I have been," Marcella writes. Ingredienti—a delicious selection of fabulous food portraits—is sure to change the way you think about and shop for your own food. The book's title is quite a mouthful, but Ina Yalof's recently published Food and the City: New York's Professional Chefs, Restaurateurs, Line Cooks, Street Vendors, and Purveyors Talk About What They Do and Why They Do It is a compelling, behind-the-scenes look at more than 50 people who help make New York City's food scene one of the most vibrant in the world. With interviews that run the gamut from restaurant dishwashers to executive chefs and owners, Yalof's book isn't about celebrity chef name-dropping, although a few are included. It's really about the hard-working, un-famous folks who are the heart and soul of the Big Apple's food scene—those who might never appear on TV, but keep NYC delicious. 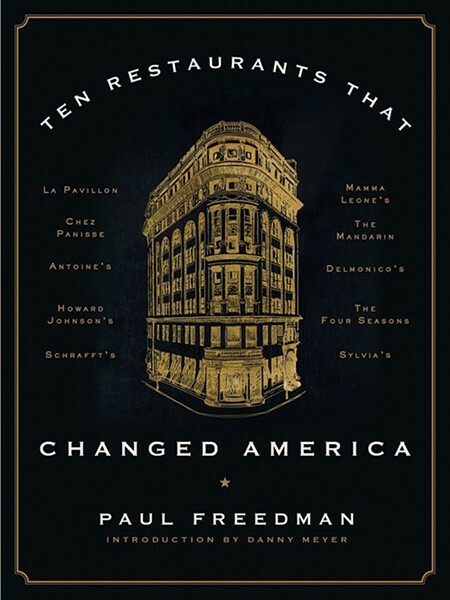 Anyone with an inkling of getting into the restaurant biz on any level should read Ten Restaurants That Changed America (available Sept. 20) by Paul Freedman, with an introduction by restaurateur Danny Meyer (Union Square Cafe, Gramercy Tavern, Blue Smoke, The Modern and others). Freedman, a medieval historian and the chair of the History of Science and the History of Medicine program at Yale, starts at the beginning, with what is considered by most food historians to be America's first "proper" restaurant, Delmonico's. From there, the restaurant list is skewed toward New York City—Sylvia's, Mama Leone's, the Four Seasons, etc.—as Freedman makes the case that 10 restaurants essentially changed the way America eats. Included in the appendix are a few recipes such as Alice Waters' curly endive salad from Chez Panisse, and Cecilia Chiang's Sichuan twice-cooked pork, which helped make her Mandarin restaurant in San Francisco one of Freedman's 10 most important. Insofar as wine is mostly made to be sipped with food, anyone in the restaurant business—or just wanting a working knowledge of wine—will appreciate Jancis Robinson's new book. I know what you're thinking: You don't have time to read Robinson's 912-page The Oxford Companion to Wine, or her Wine Grapes, which boasts 1,280 pages. Good news: The 24-Hour Wine Expert is a diminutive, 112-page, small-format book that can literally be read in a day or less. This small volume is jam-packed with Robinson's impeccably clear advice and information about wine, including how to pair it with food, how to choose it from a retailer, how to handle and store it, myths, essential hardware and much more. The 24-Hour Wine Expert is an amazing little bang-for-the-buck book for any vino lover, or for those who plan to become one.